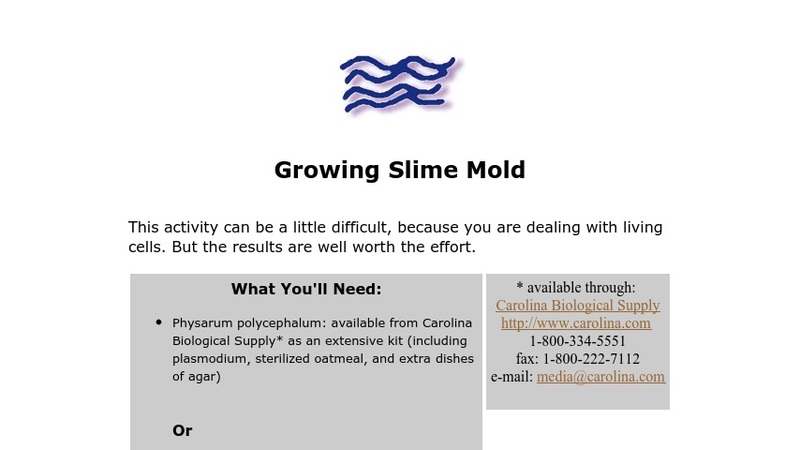 This is a short activity for growing the slime mold Physarum polycephalum. It includes materials needed, a three-step procedure, and helpful tips. The site is part of the Turbulent Landscapes exhibit at the Exploratorium. Links to other activities and features of the exhibit are also included.